Our call centre is open Monday to Friday 8am-8pm, Saturdays 8am-2pm. Your local Nissan dealership can help you purchase a new car, book a service or MOT and more. Our specialist team can help with anything Motability-related. As a Nissan owner, you can call us any time, day or night – for total peace of mind. If you are an existing Nissan customer you can book services online or log in to your own customer area. Visit nissan-aftersales.co.uk to book a service. Create a YOU+NISSAN login for personalised customer care, special offers and exclusive access to a range of exciting Nissan events. Our fleet centre is open Monday to Thursday 9am-5.30pm, Fridays 9am-5pm. Both Nissan and our Dealer and Authorised Repairer Network subscribe to The Motor Ombudsman Code of Practice for the sale of new cars together with servicing and repairs, as applicable. 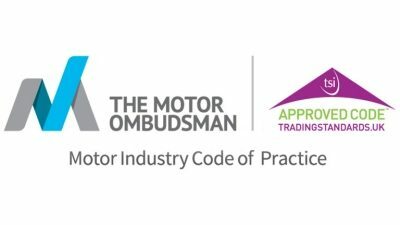 The Motor Ombudsman Code of Practice is administered by The Motor Ombudsman. Should you remain dissatisfied with the service provided by our dealers or customer services department they are available to provide assistance. The Motor Ombudsman iis approved by the Chartered Trading Standards Institute, and is a member of the Ombudsman Association.